Geico Corp. 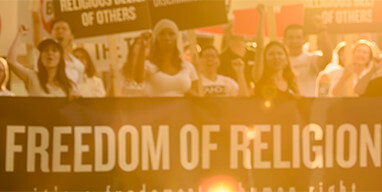 Sponsoring Religious Hate Against Scientology? What’s one of America’s best-known insurance brands, where “15 minutes can save you 15% or more…” doing supporting a controversial hate and propaganda program such as the A&E’s Scientology and the Aftermath? There must be less controversial and offensive productions that Geico can cash in on. What’s one of America’s best-known insurance brands, where “15 minutes can save you 15% or more…” doing supporting a controversial hate and propaganda program such as A&E’s Scientology and the Aftermath? There must be less controversial and offensive productions that Geico can cash in on. Surely there is some discretion that can be applied by you and the Geico board of directors. As a client of Geico, I am appalled at the lack of corporate sensitivity and governance. Did Geico ever: 1) review the content, 2) fact-check the data, 3) recognize that Remini and others are being paid to attack Scientology, 4) estimate the number of devoted Scientologists who may be insured with Geico? Perhaps Geico should copy a page from the playbook of British telecom giant, Vodafone where CEO Vittorio Colao says his company would not be associated with any material that is hate-based or discriminatory in nature, or with no credible primary source, relying on fraudulent attribution. As a long-time client I wouldn’t want to see Geico become the next Denny’s—associated with anti-religious, racist, discriminatory or hate-related messages. As Chief Marketing Officer you well know that in today’s economic environment, public persona and PR are crucial. Being connected to anything hateful or discriminatory is a vulgar disservice to the public the company serves, not to mention bad for business, bad for shareholders, bad for everyone. What about the Scientologists, the faithful ones, the guys in those yellow jackets rushing to aide thousands in every major disaster from the Northridge Earthquake, the 9/11 terror attack, Asian Tsunamis, and the Nepal earthquake? This same group hands out millions of Way to Happiness booklets to stem the tide of degradation in society and educates millions of kids about the dangers of drug abuse, all funded by Scientologists, and may one day help save the life of one of your kids or grandkids. Maybe they do a hell of a lot of good—and supporting a smear campaign is a bad move for Geico. I strongly recommend that you and the Geico board need to look at some of these advertising commitments and recognize them for what they are—flawed and dangerous marketing strategies. Today it’s the Scientologists. In prewar Germany it was the Jews. Who’s next? Christians, Hindus, Muslims, Mormons? Honestly, Geico would never fund an anti-Semitic show or an anti-Muslim show. So why Scientology?